Social media is the form of grouping of individuals into a specific community. It is one of the best ways for the peoples to interact and share information among the friends, family, colleagues, neighbors and more. Apart from these, it helps the business to build close relationship with the customers. 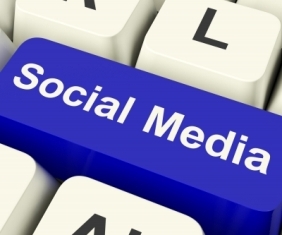 Let’s discuss about the social media sites and the benefits that a business can get from it. Twitter, it is one of the social media networking site which is often referred as microblogging site. It allows its members to send messages or tweets of 140 characters or less. It helps the peoples and organizations to know about the events that are happening presently. Let’s see how it helps the business. Twitter worth less for SEO, but the tweets may sometimes get the chance of ranking high in social media and also help in getting good reputation for the profile name and the breaking hot tweets. The shortened URL that is used in this have little SEO benefit. It can be used to know about the thoughts of the people on you and your competitors. So that you can obtain the direct feedback from your existing customers and potential customers. It makes you to get engaged with your customers and so you can make your brand to stand apart from the crowd. It is not very effective in getting more potential customers, yet gets only little attention. Facebook, it is one of the best social networking sites with more billion of people as members. It helps its users to add friend, share images and messages. It also allow to build own profile. Facebook usually don’t have any effect for SEO. It’s just the waste of time expenditure. It acts as the great tool to acquire the consideration of customers and helps greatly in attaining the reactions of customers. Usually Facebook fan pages are great exposure of brands through ads and offers. Helps to get decent traffic but not much potential customers. Flickr, it’s one of the best online photo management and sharing application with two goals. First is to help a person to share the photos with the persons they love and the second is to provide new ways of organizing photos and videos. Helps greatly in SEO as it is highly indexed by the search engines. Aids greatly in promoting the images in Google images. It is unnecessary to spend too much of time in flickr to perform good customer communication. Since, photo sharing may simply make the customers to put a face on your team rather than your brand. Helps in exposing the brand but with the people who have similar interest. LinkedIn, it’s one of the best social network sites for business professionals. Over millions of peoples use this website to exchange information’s, thoughts and opportunities. Have high page rank and so helps greatly in getting first page in the search engine result may be for individual employees or for individual brand. Makes possible to answer industry related question and establish about your company from the customers. Helps greatly in building brand exposure and online reputation. Not worthy in bringing huge traffic to your site. YouTube, it’s one of the video sharing website where people can share and upload videos. Effective in building links for SEO. Even though, it helps in sharing videos for entertaining and for other purposes, it helps greatly in getting direct customer reviews. Most powerful brand exposing tool. It allows adding links in the description of video, but it is not sure to get traffic from that link. Digg, it’s one of the social news sites where users can share and know their favorite information’s. Helps significantly in SEO, even though the news that you publish doesn’t get popular, it makes the story to be indexed quickly. Not too effective in getting the customer feedback directly. Helps to expose the brand in a greater extent. Best tool to drive traffic towards the website. There are even lots of social media sites which help greatly in marketing the business. So, it’s better if you know about the importance and benefits of those sites instead of wasting time. An awesome article Layla. Found your site from FB. Very nicely you mixedup all types of social networking channels into this post (Social networking, Photo sharing, Video sharing and bookmaking). You said it very rightly that FB and Twitter do not have any effects on SEO but they help a lot to build a brand, to spread mass awareness about a product or service and in interaction and feedback. I am not sure about Linkedin and Flickr but yes, Youtube is the best site to build a link and to generate traffic if used properly and efficiently. Digg, delicious or stumble upon are all bookmarking sites and can get your website or article URL indexed faster. Thanks for sharing and now going to bookmark your site for future references. Thanks for your comment here, Umesh.